Virginia Tech pushes its limits in Virtual Reality in The Cube. – Virginia Tech pushes its limits in Virtual Reality in The Cube. Virtual reality enables many interesting applications through the use of motion capture such as virtual training for military purposes, virtual stimuli generation for motor control research, and virtual design. Our users at Virginia Tech’s Institute for Creativity, Arts, and Technology took the application of virtual reality and applied it towards human studies in a facility which seemingly exists in an alternate universe. The Cube has been able to expose the public to VR Sciences through its educational innovation by hosting festivals, such October’s Virginia Tech Science Festival, and by inviting its students and the public to immerse themselves into a world of artistic discovery. Unique in the world, the Cube is a $15 million, four-story experimental space for research, performance, and public engagement with the arts. Located in the Moss Arts Center, Blacksburg, Virginia, the Cube’s physical infrastructure and technological capabilities allow researchers to collaboratively explore and interact with fullscale virtual environments, from the smallest subatomic particle to massive F5 tornadoes, in real time and through natural movement. 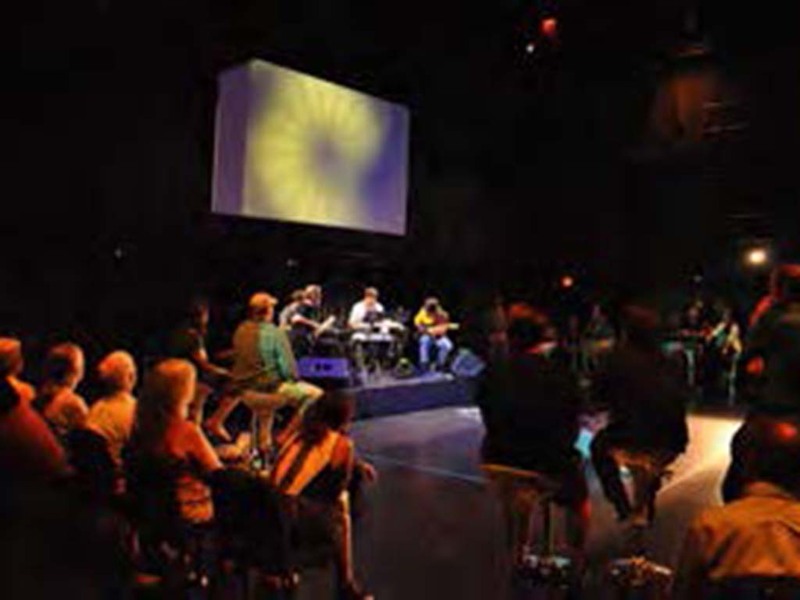 Equipped and operated by the Institute for Creativity, Arts, and Technology (ICAT), the Cube is the only facility in the world to combine these unique technologies in one location. The Cube’s newest addition, the Cyclorama, is a cylindrical projection screen 32 feet in diameter and 16 feet tall that can accommodate up to 40 people, allowing large audiences to experience immersive visualizations without the need for headmounted displays. Create and experience simulated reality first hand and explore virtual environments using head-mounted displays and tablet interfaces. Unlike traditional virtual environments, the Cube allows multi-person collaboration with data visualizations and sonifications. Qualisys Track Manager streams location and rotation data of head-mounted displays to rendering computers for real-time virtual reality immersion. Abstract data interaction and exploration, including bioinformatics, social networks, transportation, security, biological and veterinary science, and more.